Happy Sunday Everybody! I'm excited to introduce you to my newest sponsor: Signs by Andrea! Signs by Andrea is a great shop that specializes in both handpainted wooden signs AND digitally designed posters and canvases. That Andrea is one talented lady! Andrea also created a personalized date print for me. I love it! Here are just a few of the other types of signs (and notecards) Andrea creates. 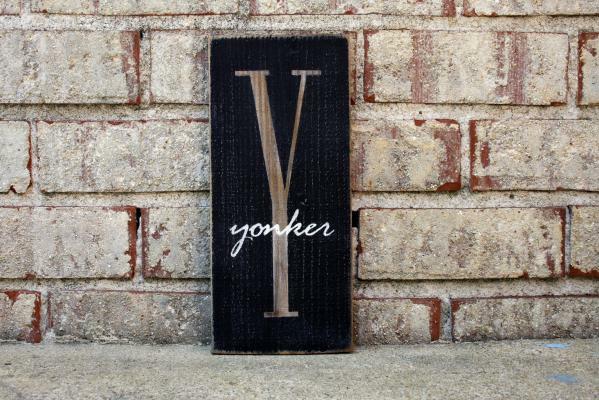 Prize #1: 1 ft. Personalized Monogram with Overlay Wooden Sign - similar to the one pictured above. This prize only available to US Residents. 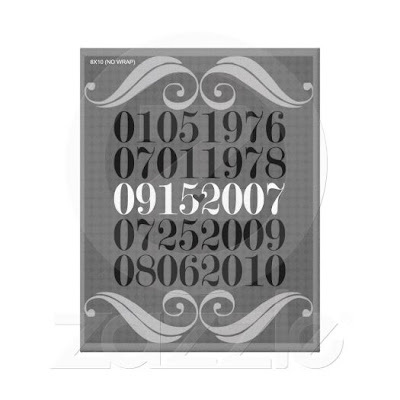 Prize #2 & #3: Special Dates Artwork Printable Download - similar to the one pictured above. This prize is available worldwide. To enter simply leave a comment on this post telling me where you'd display your sign if you win. That's it! And whether or not you're the winner, you can still get a personalized sign for a great price, because Andrea has offered some special discounts to readers of The Shabby Nest. 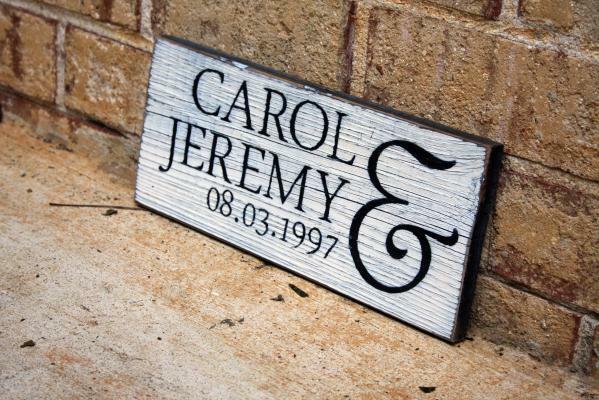 Use the code SNEST10 to get 10% off your wood sign order. Or use the code SAVINGS42012 to get 10% off your (de)SIGNS order. Both codes are valid until 4/30/2012. Make sure to visit Signs by Andrea and check out all of her great products! You'll be glad you did! The giveaway is open until Tuesday, April 17 at 11:59 PM MST. Winner will be announced later in the week. This post was sponsored by Signs by Andrea. The opinions expressed are my own. I *LOVE* the personal dates sign! What a genius idea! I'd display it in my Living Room, which in my house is the hub of our home. mine would go in our bathroom we're currently remodeling! I would place the monogram one on top of my bookcase. I love the personalized dates sign! What a creative and adorable idea! If I were selected I would display it in our living room among a collage of wedding and engagement photos we have already hung on our wall. It would make the perfect centerpiece! My husband and I are getting ready to celebrate our one-year anniversary in a month (May 28th) and this would make the perfect addition to our little home! Beautiful work! You're right, she is talented! I would love to have either one of the signs. I'm creating a 'gallery wall' in my hallway and they would be a great addition to it. 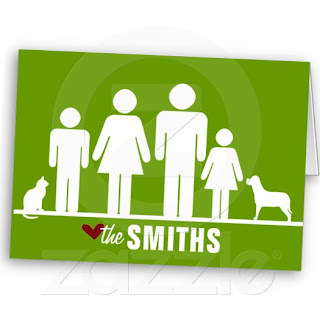 I would proudly display this sign in my family roon! Thanks for introducing me to Andrea's signs. She makes beautiful things! I love, love, love the special dates sign. My husband and I recently got married so we would put this sign in our bedroom. Adorable! I would dsplay it in the great room. It would look amazing. 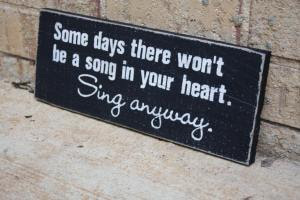 I would hang my sign in our foyer. So beautiful! I would love the monogram sign as a 1st anniversary present to my husband so he could display it in the entry to our home. Wouldn't that be wonderful. 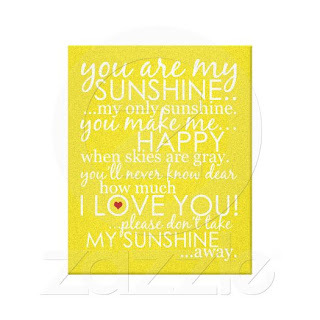 I pinned the you are my sunshine one also. I LOVE her signs. I would put mine in our family room where everyone can see! I would definitely hang it on my collage wall! I love it and need it! I would hang it in our dining room! Need a little something else in there. Personalized monogram right next to the front door. It needs something, and this would be purrrfect! I would love the personalized monogram on our future collage wall. I'm going to check out her site! All the signs are wonderful! If I were lucky enough to win one of them, I would display it in the living room where I could see it all the time! Thanks for the chance! The monogram sign; it would go right by our front door! Thanks for the intro to her work, it's fabulous. Love your board designs. the lettering looks great. The monogram sign would make a great pop in my office. Great job. I really love these signs! I would display mine in my entryway. I would hang the sign in my bedroom. Thanks for the chance to win! I can't decide if I would put it in my bathroom or entryway. Either place would be perfect! My sign would go in our new sun room! I've been working on filling the empty frames in my gallery wall and the dates print would be perfect!!! I love the monogram! It would look great in our entryway. I love the monogram! I would hang it in my living room where I could enjoy it every day! I would display any of these in my family room! Lovely signs! Thank you for this possibility. I would put my sign in my front room where it was viewable by everyone who walked into my house! I would hang either in my bedroom. It really needs some help ! I'm redoing our living room so something to personalize it would be great! I would display this in my kitchen or bedroom! Thanks for the giveaway! Cute signs! Would look great in my entryway. I would love to have one of these to put in my living room or back patio area. I love this site. I especially like the personal dates sign. I would hang it in our family room. Hope to win! I would love the personalized one to hang in our front hallway! I would display one of these in my family room! These are great, I love her work! I would this gem up in our famly room, so we could all enjoy it! Any of these signs would look great in my family room. I would place the monogram sign in my master bedroom, and the dates sign in the living room. Both rooms will be redecorated this summer and those signs would be a great addition! Those are cute! I would put them in our family room or our master bedroom. I am working on a gallery wall in our bedroom (above our bed) that are all important things to us. Pictures from past trips, date nights, etc. and some items that represent the numbers or letters in our names. One of these would be PERFECT to along with the pictures I've collected. What a fabulous giveaway!!! I love the signs. I would put it on our foyer or in the family room. I would LOVE the monogram piece for our entryway! Would love to win! I would proudly display in my great room! Thank you! My husband and I would love to have a sign reflecting our family name, which is a combination of his and my name! If we were to win, this sign would hang prominently in our welcome hallway! I'm getting married this September and I would LOVE to have the monogram sign at our guestbook/welcome table. 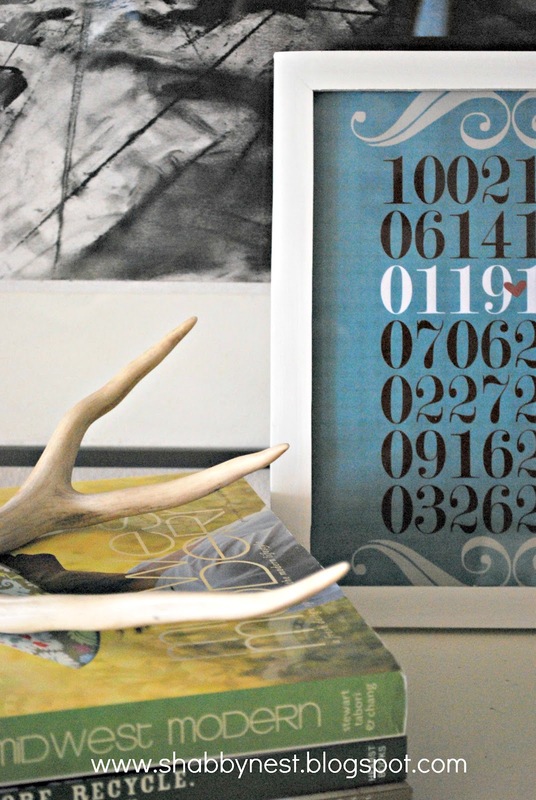 It's a rustic wedding and these signs are so fitting...not to mention gorgeous to hang at home later! !